These are sooooo easy. And delicious. And chewy and wonderful. They are a great last minute gift for father’s day, if your dad likes mango…although you can order a super awesome brownie cake with cookie dough truffles for Dad if you’re in the GTA and place it by midnight tonight! Just give me a shout at laurenbreuer@gmail.com. 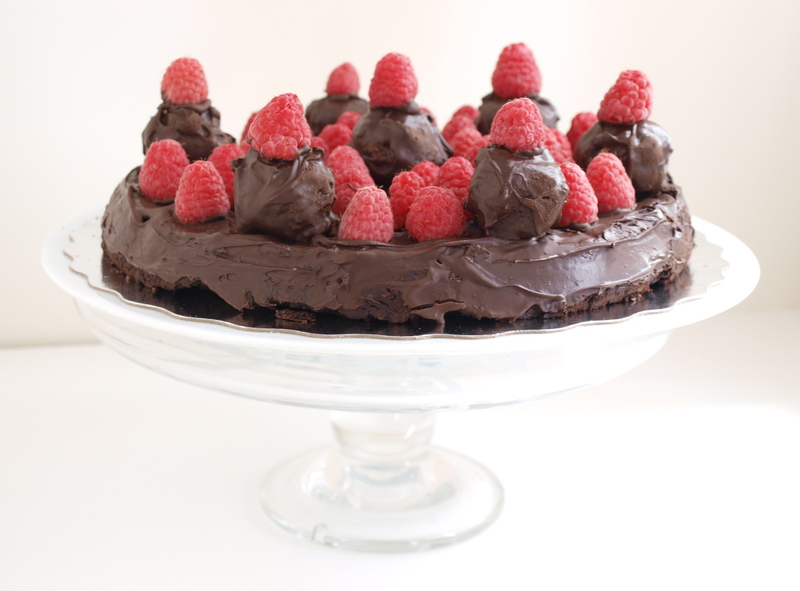 OR you can make these. There. Father’s day is solved! You’ll also need a double boiler, some parchment paper and a cookie sheet (as well as some flat space in your fridge). This has got to be the easiest thing I’ve ever posted. refridgerate until chocolate is solid. use a wooden spoon to eat any remaining chocolate from the bowl. Okay, so I didn’t have to include that 6th step, but really, you don’t want to waste any chocolate. You don’t want to be that person! 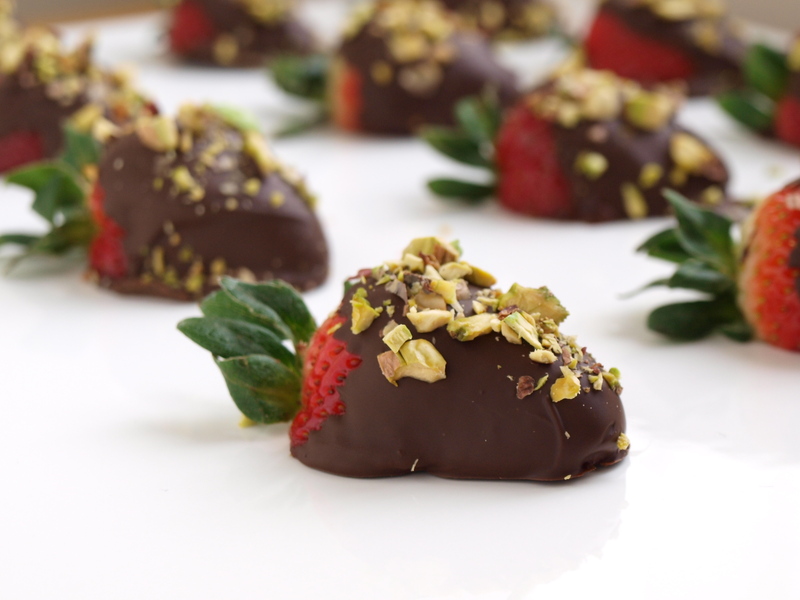 Strawberries covered in chocolate topped with chopped pistachio=awesome! Considering how easy these are, I’m thinking they should be on a weekly rotation in every home. What do you say? Yes they should be a weekly rotation at home. hint hint, nudge nudge, wink wink. 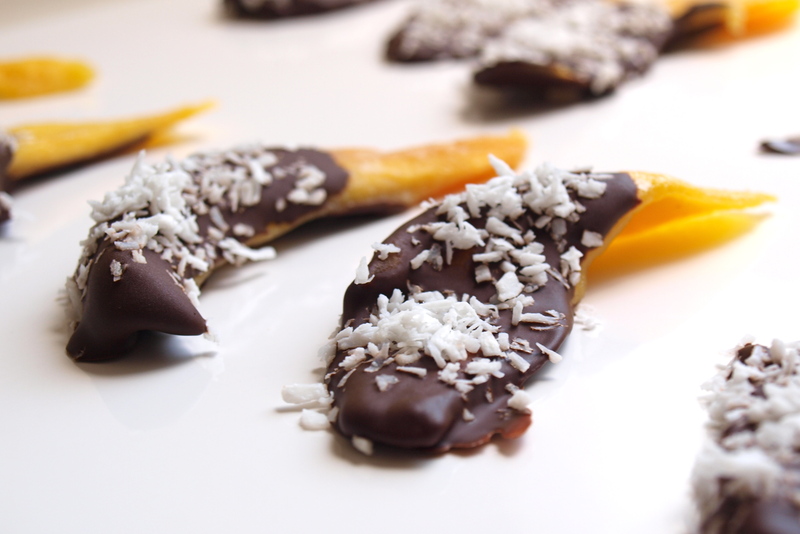 I am going to try and make these with fresh mango! My food restrictions don’t allow for any dried fruit. Thanks for the idea. I love you site. Aw, thanks! Let me know how they turn out! I’m sure they’ll be great.